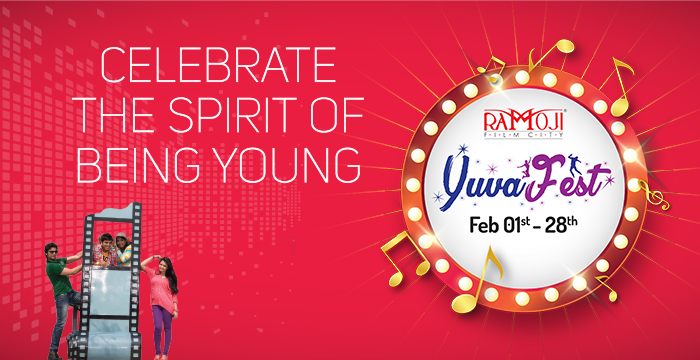 Enjoy a youthful spring in every step as you walk into Yuva Fest. A month-long exuberance and a merry mix of fun and excitement await you. The fest capturing the magnificent mood, it’s time to soar with music and myriad entertainment– and have showdown with thrilling adventure. Be it crawling on the Net course, wrestling in sumo suit, paintball with bullets of colour or bungee ejection – you have options to choose from at Sahas – Asia’s finest adventure land. Experience the reel world charm and the rain dance too.